In the village of Florac, the capital of the National park of Cevennes, at the foot of the Limestone plateau de Méjean and near the Gorges du Tarn, a beautiful comfortable apartment for 6 persons (3 bedrooms) with terrace and attractive view. At walk distance : services and shops, the ideal location for holidays without car! 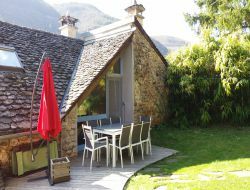 Charming cottage in an old farmhouse adjacent to a park of 3000m². Apartment of 110m² completely independent and fully equipped. Private terrace with garden furniture and barbecue. 200m from swimming pool and tennis free. 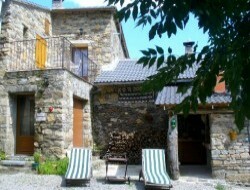 Cottage for 5/7 persons in the center of the village of Quézac, in the entrance of the "Gorges du Tarn". 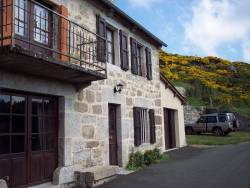 Ideally situated well to discover the Cevennes. Internet wifi. 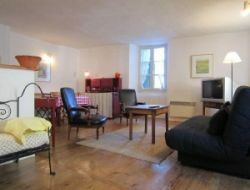 Rent of a beautiful and renovated apartment in the village of Florac, close to the Gorges du Tarn, and comfortable up to 5 people with its 2 bedrooms(and its sofa bed. Holiday accommodation situated on the pedestrian square of the village, in 2 steps from the free parking lot and the shops. You want to relax, calm, in an old renovated barn located in the heart of Margeride, with extensive grounds and breathtaking views around, my cottage is there to greet you. 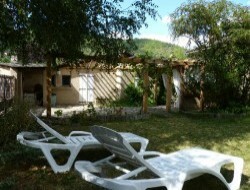 In a small village close to Florac, renting a large apartment for 5 people from 80m² with garden and shaded terrace. 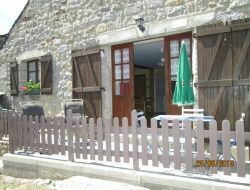 Rent of a chalet in Lozère, on the Limestone plateau of Sauveterre, close to the Gorges du Tarn. 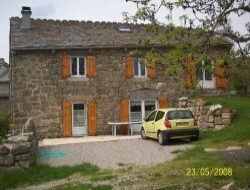 Gite for 6 people in the village of Lajo north of Lozere, many hiking trails start at the cottage.